The ANC and its so called leaders are beyond redemption. A Pornstar sends a pornographic video of himself to a girlfriend and gains some chicken audacity to publicly lie that he was was being ‘romantic’ with his wife, comes parliament to wave his little finger. What do we do now? 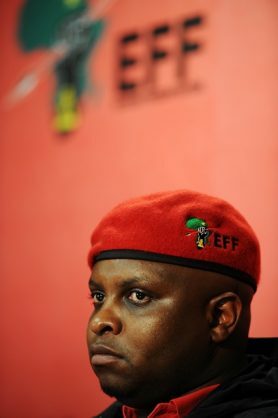 Shivambu appears to think Gigaba is pulling the wool over people’s eyes.